Travelers who have a passion for food should take note of Sceptre Tours' three new Slow Food escorted vacations in Italy which focus on the regions of Tuscany, Venice, the Amalfi Coast, and Sicily. is an 8-night tour during which participants will have the opportunity to sample slow food products from wineries, bakeries, pastry shops, fresh produce markets, and more. Travelers will be perfectly situated to sample Pienza Pecorino cheese, wines from the Brunello Vineyards, the Certaldo Onion, the Terra Market of Bologna, and much more. The tour visits Rome, Florence, and Venice and also includes a cooking lesson, guided tastings, and a number of meals. It is priced from $4,128 per person. is a 9-night tour which includes incredible sightseeing as well as culinary highlights. During this vacation, travelers will have the opportunity to sample Pienza Pecorino cheese, wines of Nobile di Montepulciano, the famous Limoncello of Amalfi, the Certaldo Onion, and much more. It includes a cooking lesson, guided food tastings, and many meals and is priced from $4,042 per person. is a 7-night tour which features visits to many of Sicily's most popular sites including Agrigento, Siracus, Ragusa, Palermo, and Taormina, and provides travelers with the opportunity to sample Extra Virgin Olive Oil of the Trapani area, wines from Mount Etna Vineyards, Manna, Traditional Pastries, and Desserts of the Madone Park Area, Polizzi Badda Bean, and Madonie Provola Cheese. It includes a number of meals and is priced from $4,010 per person. Sceptre Tours is a premier travel company designing innovative and unique opportunities for the discerning vacationer. From expertly designed pre-packaged vacations to bespoke travel experiences, Sceptre’s Vacation Experts are committed to earning their clients’ trust one vacation at a time. With more than 30 years of experience, Sceptre Tours offers a winning combination of unique luxury travel experiences, in-depth destination knowledge, and unmatched customer service. 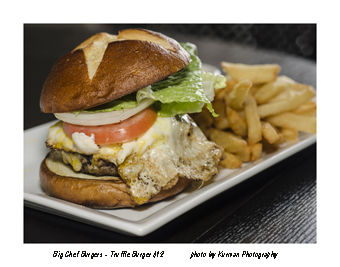 Big Chef Burgers, the new gourmet burger and pizza restaurant in Schaumburg from acclaimed chef Cristiano Bassani, is making Mother's Day a special treat for Moms, and they're keeping it simple: Moms enjoy complimentary food and beverages on Mother's Day, Sunday, May 11. Looking for a wardrobe revamp for spring/summer? Starting this Friday, May 2 through Sunday, May 4, Ann Taylor will be hosting in-store Style on Call events, featuring a first chance to shop the new collection, appointments with a personal stylist, special treats, free gifts and chance to win a getaway bag packed with EOS products and favorite items from Ann Taylor! 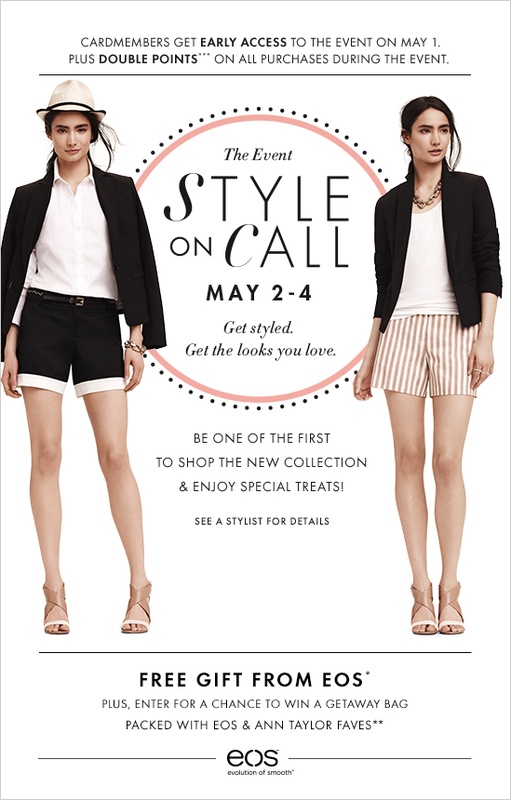 WHAT: Style On Call with Ann Taylor – Shop the new collection, enjoy special treats and free gifts! Chicago Restaurants Make National Top 100 Brunch List, According to OpenTable! is excited to reveal the 2014 Diners’ Choice Award winners for the Top 100 Restaurants for Brunch in America. Chicago made the list! , which offers a menu of locally grown, organic produce, and Parrot Cage, a restaurant operated by the highly acclaimed Washburne Culinary Institute. These awards reflect the combined opinions of more than 5 million restaurant reviews submitted by verified OpenTable diners for approximately 19,000 restaurants in all 50 states and the District of Columbia. Included below the full list of winning restaurants (in alphabetical order). Exciting new happenings at Red Door Kitchen & Bar! For an additional $10, diners can enjoy half-pour wine pairings expertly selected and served with each course. The kitchen isn’t the only place where exciting changes are happening. When Red Door opened their expansive multi-level patio last summer it quickly became a hotspot for cold cocktails and delicious dishes by Chef Troy Graves. This season the restaurant’s outdoor space has been made even more appealing thanks to some new additions, which patrons can take advantage of every Wednesday – Saturday all summer long. Chef Pete of The Gage will cook for percussionist/composer and Wilco-drummer Glenn Kotche, radio host Kathy Hart of The Mix's The Eric and Kathy Show, actor Marc Grapey, host Elysabeth Alfano and YOU! Enjoy, food, Vosges chocolate, Voss Artesian Water from Norway, wine, unscripted conversation and a few performances! PLUS, Mischa Zupko, Dominic Johnson, and Winston Choi of The International Beethoven Project are the opening act. Chef Pete makes Spring Pea Soup with Poached Quail Egg in a Ham Consume and Brioche Encrusted Halibut over Asparagus in a Bacon Cream Sauce. Watch below! for THE DINNER PARTY on May 12. On The Dinner Party, Alfano invites 3 Chicago or national celebs and a known chef who cooks for them and the audience. Over food tastings, wine, chocolate and artist performances, the conversations and the unexpected flow. Filmed in front of a live audience, come to Chicago City Winery to share in the food and wine tastings, water, chocolate and conversation. Can't make the City Winery? You can also watch THE DINNER PARTY on-line in the "Splash" section of the Sun Times. Viewers and audience members can tweet in to be a part of this fantastic new multi-dimensional show. Doors Open at 6:30 pm. Show, food tasting, water, chocolate and wine tasting for the audience start at 7 pm. Glenn Kotche’s new release Adventureland via Ian Schneller's Sculpture/Sound Installation featuring 18 handmade Horns and tube amplifiers. Intermission. Glenn Kotche’s new unreleased compositions via Ian Schneller's Sculpture/Sound Installation featuring 8 unique horn speakers and Octoblock tube amplifier. We are thrilled to thank the following sponsors who support Fear No ART presents The Dinner Party only. Post provided by Kurman Communications, Inc., a world leader in lifestyle public relations, social media and marketing...Providing cutting-edge creativity, out-of-the-box thinking, brand mastery, media strategy, social networking, and word-of-mouth marketing since 1983. Like us on Facebook at www.facebook.com/kurmancommunications. Follow us on Twitter @KurmanPR and @KurmanStaff. Visit www.kurman.com or write to kurmanstaff@kurman.com to learn more. Email subscriptions powered by FeedBlitz, LLC, 9 Thoreau Way, Sudbury, MA 01776, USA. 2014 IPA Submission Deadline is approaching!